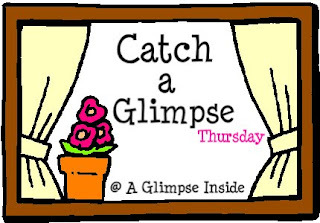 Time for Week 2 of Catch a Glimpse Party! Can't wait to see what you have been working on! I, unfortunately, don't have anything to share with you this week. I just got back in town late Tuesday evening so I haven't had time to create anything with getting things done around the house and working. But show me what you got!! I'll be picking a few to showcase for Feature Friday so link away! I featured you on Craftify It Thursday!! Swing by and grab your feature button. Your also welcome to link up any craft you'd like. Thanks for hosting and for the invite Allison! Happy Wednesday!